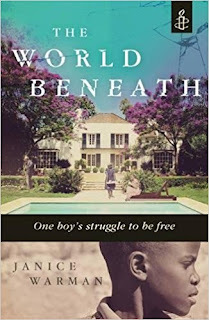 Janice Warman is the author of the young adult novel The World Beneath, a winner of the 2017 Children's Africana Book Awards. It takes place in South Africa in 1976-78. 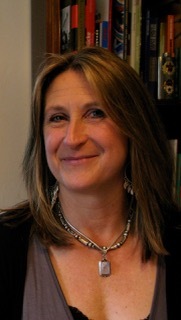 She also has written The Class of '79, and has worked for various publications including The Observer, The Guardian, the Financial Times, and The Spectator. Born in South Africa, she lives in England. Q: How did you come up with the idea for The World Beneath, and for your main character, Joshua? A: I had always been keen to write about apartheid for children who had grown up in a world in which it no longer existed. I felt that like the Holocaust of the Second World War, it should never be forgotten. And as racism and xenophobia are still prevalent in the world, the subject remains timely. The inspiration for my main character, Joshua, was the daughter of our housekeeper, Beauty, whose name I use for Joshua’s mother in the book. I was aware that Beauty had children of her own who lived far away with their grandparents, while she cleaned our house and took care of us. Then her little girl came to visit, and although I was quite young myself, I remember trying to teach her to read, and reflecting how Beauty must miss her, when my mother had her daughters with her all the time. 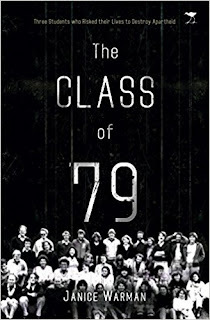 Q: Why did you decide to set the book in 1976-78? A: Because that was when certain crucial events happened in South Africa and in the world of apartheid – the 1976 Soweto uprising, the movement of many freedom fighters out of South Africa to train, and their return to fight in South Africa. I was in my last year at high school in 1976, and it was devastating to hear of all the children who were shot and killed. Q: How was the title selected, and what does it signify for you? “But for the darker creases across them, his palms could almost pass for white. But he couldn’t. His coppery darkness meant he lived in the dark. In the back of the white house. Under the stairs. In the backyard. Down at the bottom of the garden. At the bottom of the heap.” In other words, in the world beneath. Q: What kind of research did you need to do to write the novel? A: In a sense, I didn’t have to do much research because I grew up in South Africa. 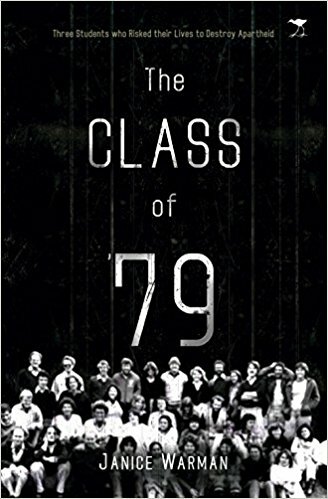 However, as I also wrote Class of '79, about three of my fellow journalism students who became freedom fighters and risked their lives to help destroy apartheid, my research and interviews for that book fed into this one. In particular, the character Bonny reminds me of Marion Sparg, who trained in Angola and returned to plant bombs in three police stations. She was sentenced to life imprisonment, only escaping hanging because she was both white and a woman. But she was released at the end of apartheid and helped to write South Africa’s new constitution. A: I am currently doing a Creative Writing PhD at Goldsmiths College in London, and am writing another young adult novel, The Tree House, about a young boy who realizes that across the valley from his eyrie in the yew tree outside his house, there is a girl being held captive in a hidden cottage in the woods. Little does he realise that soon he and Léa will be on the run in a race against time to solve a family secret – a vicious attack in France that tore her family apart two years before. Are her mother and baby brother dead or alive? Who can they trust? I am also writing a literary thriller, The Escapist, the story of two women whose husbands are abusers: rich, beautiful Helen, and slight, fair Sarah, who disappears. Was she murdered by Steve? Can Helen escape? And who killed Steve, found dead in the road outside the village? A: I live on Ashdown Forest in East Sussex, home of Winnie the Pooh, or rather his creator, A.A. Milne. I often ride my horse to the Enchanted Place or through Hundred Acre Wood. Although I keep a lookout, I’ve never seen the Bear or Piglet yet! Once a week, I drive up to Clapham in London to teach creative writing to disabled adults on a voluntary basis. It’s a job I love, and my co-tutor Maggie Innes and I (she is a scriptwriter) are bringing out a little book of their poems soon.